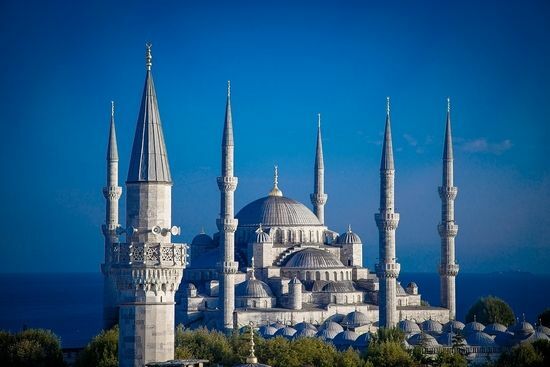 Turkey remains one of the top holiday destinations in the world, attracting visitors from all over Europe, the Arab States and from further afield. Its vast history, beautiful sandy beaches, warm climate and vibrant cities keep people coming back for more year after year. As Turkey has become a more popular choice thanks to affordable flights, fantastic package deals and decent exchange rate, more and more places are hitting the spot with people from all over the world. Read on to find out our top ten Turkish holiday destinations for 2017! The historic city of Istanbul really is the cultural hub of Turkey. It is the world’s only city where you can immerse yourself in the flavours of Asia and Europe in one holiday. The city is full of impressive architecture and historic sites, such as the iconic Blue Mosque and Hagia Sofia, but its charm lies in its ability to seamlessly mix the old with the new. Fine dining, exclusive shopping and incredible night life awaits you in Istanbul, all with an exotic twist. Every day in Istanbul presents you with a new and different experience. As a multi-cultural hub, you can discover the delights of Turkey in one place, from the incredible, spicy cuisine of Gaziantep and performances of the Whirling Dervishes of Konya, to the most traditional shopping experience in the world at the Grand Bazaar. Whether it’s a long weekend or an extended trip, Istanbul should be your first stop in Turkey. The magical kingdom of Cappadocia is instantly recognisable from any photograph. A landscape of fairy chimneys and colourful rock formations greets the eye, full of hidden underground cities and entire towns carved into the rocks. The area has a colourful history; Hittites were the first to chisel out underground tunnel complexes, seeking safety from invading Persians and Greeks and much later Christians sought refuge there too. Today, you can have the experience of a lifetime in Cappadocia and a holiday you will never forget. 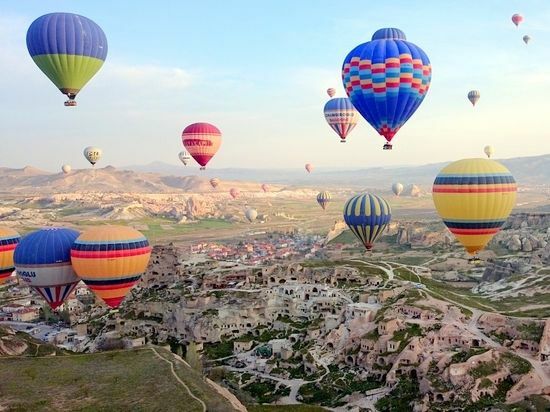 Stay in one of the regions many cave hotels, walk the plains between the fairy chimneys, discover hidden churches and witness one of the most stunning sunrises in the world from your very own hot air balloon. Göreme is the place to stay, a town literally carved into the volcanic rock and the gateway to the National Park, now a UNESCO World Heritage Site. Göreme is home to an annual food festival where you can taste the many delights of local dishes. Nearby Ürgüp is one of the most important areas for making wine in Turkey and the small village of Avanos is famed for its fantastic pottery. Dalyan is an unusual little place, a small, traditional town hidden between the great Köceğiz Lake and the stunning Iztuzu Beach. Ancient ruins, mud baths and loggerhead sea turtles are just some of the incredible things to see in Dalyan. Surrounded by water, a day on a boat is the best way to see the highlights of Dalyan, with many tours on offer, or water taxis that can take you to the beach. Dalyan is definitely the place to be if you want a beach holiday with a relaxed vibe. There is plenty to do in and around town and the dolmuş services are pretty good, but Dalyan itself is small and compact at just a couple of miles squared. You can spend a day bar hopping, getting to know the locals and practicing a few verses of Turkish over a good traditional meal, or you can get active and hike the mountains, hire a car and explore the surrounding areas, catch a water taxi down to the beach to spot some turtles, swim in the expansive lake, or grab yourself a quad bike and have some fun rolling around town. Market day is a highlight in town and it is when you will find most of the locals surface. National holidays really liven the place up as the central square becomes a stage for traditional performances and music festivals. If you want a beach holiday away from the crowds, Dalyan might just be the answer. The ruins of Ephesus are Europe’s most complete classical metropolis; an ancient city located in Selçuk, not far from the city of Izmir on the west coast. 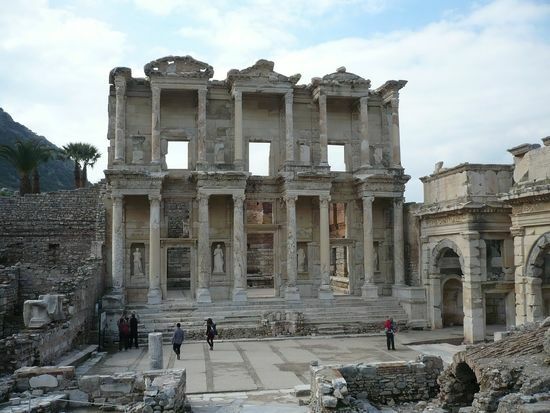 By the 1st century BC, Ephesus was one of the largest cities in all of the Roman Empire and home to one of the Seven Wonders of the Ancient World; the Temple of Artemis. One of Turkey’s most popular tourist attractions, the well preserved site contains a massive theatre, the Temple of Hadrian and the incredible Celsus Library, a two-story structure that was built to house more than 12,000 scrolls. At the very front you will find four statues; Sophia (wisdom), Arete (virtue), Ennoia (thought) and Episteme (knowledge). Selçuk itself is one of the most visited tourist destinations in Turkey, thanks to its close proximity to Ephesus. You will also find the ‘House of the Virgin Mary’ nearby too, visited by catholic pilgrims who believe that Mary, the mother of Jesus, was taken to this small stone house by St John and lived there until her Assumption. The old quarter of the town retains much traditional Turkish culture, making it an attractive destination for those looking for a true Turkish experience. This is a place that you won’t find on everybody’s list, but offers something a little different. Sapanca is the baby of the tourism industry in Turkey, a rising star and somewhere that we should probably keep a secret. Apart from its close proximity to Istanbul and Bursa (less than a two hours drive to either), the smaller but bustling city of Izmit is less than half an hour away. This city has a large number of tourist attractions; ancient remains, temples, city walls, aqueducts, mosques and much more. But Sapanca is the place to stay if you don’t want to be in the middle of the hype. Popular with Turks, Sapanca has found a place on the tourist map thanks to its stunning natural environment and its very own lake, ‘Sapanca Gölü’. 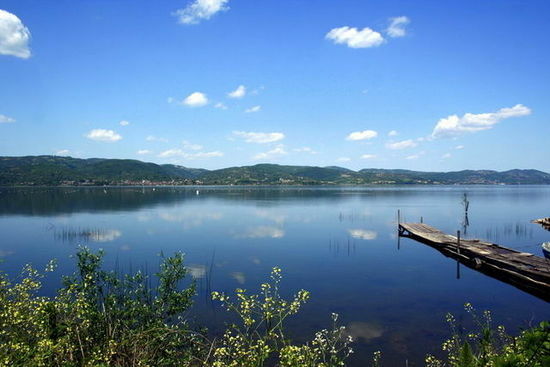 The lake itself is huge, 45km squared to be precise, and is located on a tectonic hole and is perfect for lazy days of fishing and swimming contrasted with hiking and bird spotting. Sapanca is also becoming the next big thing in health tourism, with a number of wellness spa hotels in the area. 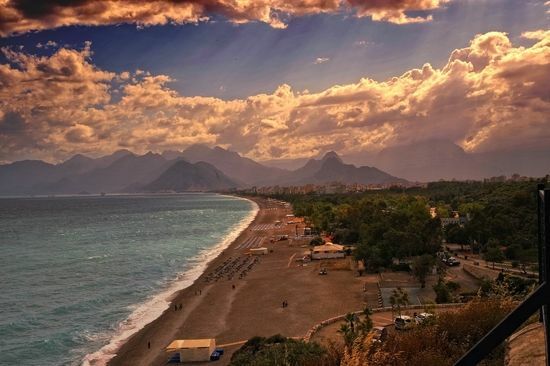 A city that has something for everyone, Antalya has always been a popular choice for tourists in Turkey. Nestled along the beautiful Turkish Riviera on the Mediterranean coast, Antalya itself is a vibrant city, sporting a number of resorts, hotels, bars and restaurants. The Old Quarter offers a step back in time to the city’s ancient past, with a maze of streets that wind around historic structures like the Clock Tower and the old city walls. The scenery impresses, with lush green mountains towering over the picture perfect beaches where you will never be bored, with water sports and sailing on offer. Antalya is one of the most family friendly destinations in Turkey. Beach Park and Aqua Land were built for kids as a waterslide heaven. Dolphin Land is also the perfect day out for everyone, home to dolphins, sea lions and white whales. For the historically minded, walk into the old town centre and see Hadrian’s Gate. Home to another of the Seven Wonders of the Ancient World, the Mausoleum, Bodrum’s many historical ruins, stunning stretches of sandy beaches and cliff top resorts, attract tourists from all over the world. Bodrum’s main attraction, the Castle of St Peter, built by the Knights Hospitaller in 1402, looms over the beautiful city, where you can find a variety of cafes, bars and nightclubs to suit your tastes. 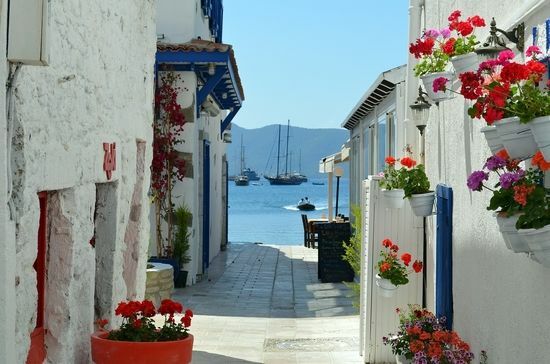 One of the most up and coming cities in Turkey, Bodrum is the perfect place for celeb spotting, with a super yacht marina and designer shopping centre in Yalikavak, a short journey from the centre of the city. Stroll away from the marina and you will find yourself lost in a beautiful maze of little cobbled streets and traditional Turkish buildings. The large coastal town of Fethiye has become a firm favourite with expats over the years thanks to its central proximity to everything! Dalaman airport is only about 30 minutes away, which makes the town easy to get to and if you don’t fancy staying in Fethiye itself, the local area has many family friendly, all inclusive resorts nearby. Hire a car and the south coast of Turkey is your oyster, with plenty to do in every direction. Head west and explore the mega-yacht, luxury town of Göcek, a little further along you will find Dalyan and Iztuzu Beach’s loggerhead turtles, a little further still and you are in Marmaris. 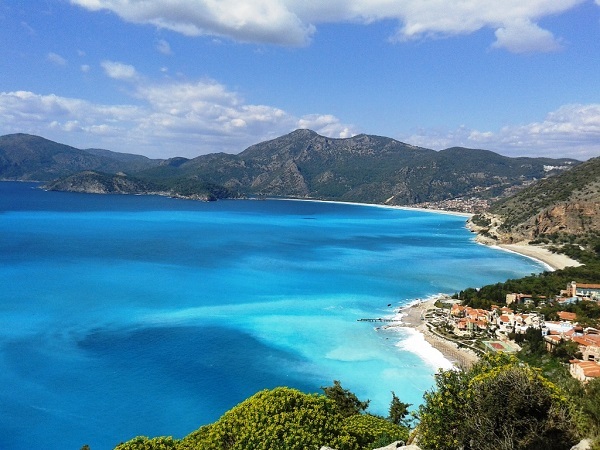 Head east and you will find yourself passing through Kayaköy, the ghost town and the turquoise waters of Turkey’s very own Blue Lagoon, Ölüdeniz, Turkey’s most famous beach and one of the world’s top paragliding destinations. Further east still and you reach the cliff side town of Kalkan. In Fethiye itself, shopping is plentiful. The old town is quite picturesque, as is the marina, with stunning coastal vistas. The newer part of town is the perfect place to shop for leather goods and souvenirs, while stopping off for lunch at the fish market where you can pick your fresh meal. Popular day trips from town include Gemiler Island and Butterfly Valley. Nature lovers should flock to Bursa in Southern Marmara. The city is located about 200 miles west of the capital city of Ankara and approximately 50 miles south of Istanbul. The city is surrounded by beautiful large nature preserves which offer remarkable flora and fauna. Uludağ National Park is one of the more popular, particularly in the winter when it offers a well run centre for winter sports and a fantastic ski resort. Uludağ means ‘sublime mountain’ and you will understand why when you are there. 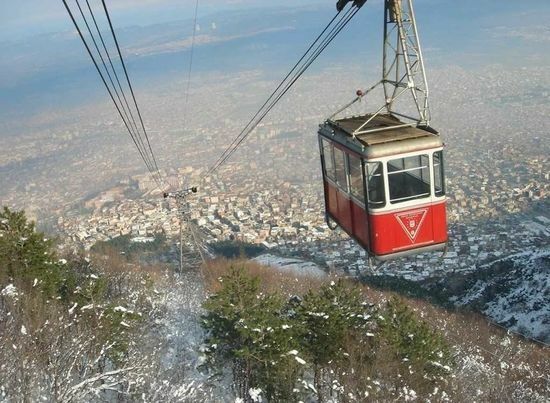 You can get up the mountain by car or cable car after a short drive from Bursa. The city itself has four impressive mosques which are all worth visiting, but the Muradiye Complex is one of Bursa’s most important historic places. The complex is the resting place of Sultan Murad II, the last of the Ottoman sultans to reign Bursa when it was the original capital city. The site is extensive and is worth a day of exploration to see the twelve tombs, the mosque, madrasa, bath, hospice, fountain and epitaphs. Bursa is also known as the ‘Royal Springs’ and its renowned hot mineral waters have been popular since Byzantine and Roman times. There are several hot springs to enjoy around the city, several beaches to relax on nearby and a few bazaars and caravanserais to explore too! 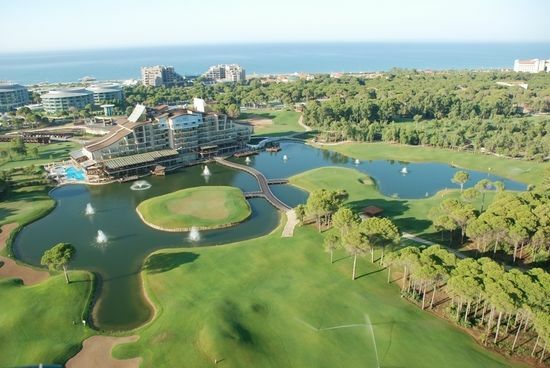 A luxury resort town on the Turkish Riviera, Belek is a developing golf centre and is home to more than thirty-four and five star hotels as well as other accommodations, services and entertainment facilities. In 2012 it hosted the Turkish Airlines World Golf Final and in 2013, the Turkish Airlines Open. 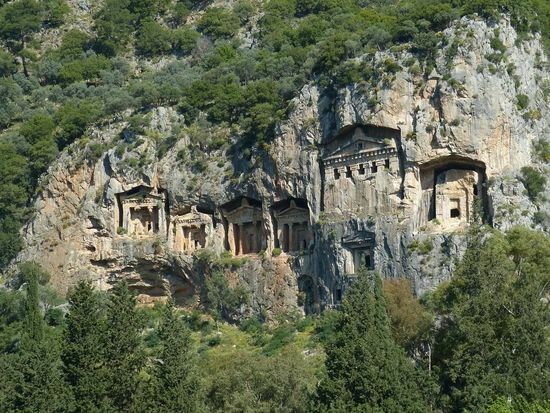 It is a town familiar to the rich and famous and offers a very different style of holiday to nearby Antalya. Belek is well known for its pristine white sandy beaches which are surrounded by lush pine forests. It is a small town, home to only 750 people in low season and only as many as 10,000 in high season. Like many places in Turkey, the surrounding area is famous for its mineral waters and being the high end destination it is, several good spas can be found around town. When you’re not on the golf course or dipping your toes in the perfect sand, nearby is the Hellenistic city of Perge, rated second best preserved after Ephesus. The Kurşunlu Waterfall is home to over 100 bird species and a wonderful hidden cave which is worth exploring. For some culture in the evenings you can head over to the ancient, great amphitheatre of Aspendos, which is over 2000 years old but still seats over 20,000 people. During high season, the venue still hosts open air classical, ballet and opera festivals, which are incredibly popular.